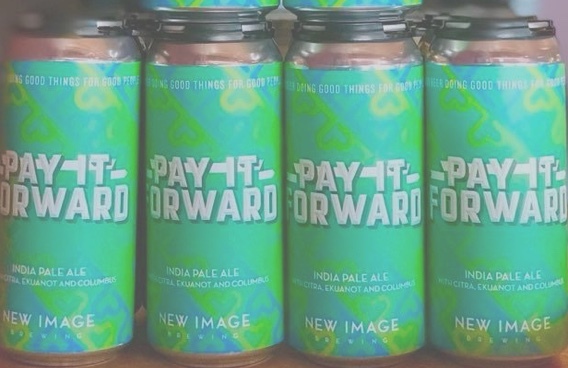 Pay It Forward changes its hop combinations every few months to bring new flavors to the can and bursts with aroma from a healthy dose of dry hopping which blankets your mouth in flavor while still finishing dry. Hazy from a mix of hop oils plus the addition of wheat & oats in the malt, it all comes together to create a sweetness to balance out the hop bite. For Pay It Forward, New Image has partnered with Project Helping, an organization that promotes mental wellness through volunteer work in the community, to create a beer that helps a cause we believe in. $1 from every 4pk of Pay It Forward goes to Project Helping to support the work they do.